My first ground of 2019 was on Saturday 5th January at Mulberry Park in Mulbarton, Norfolk. 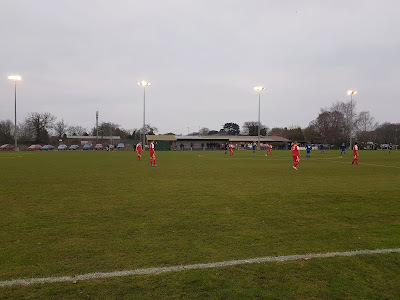 The match was Mulbarton Wanderers vs. King's Lynn Town Reserves in Eastern Counties League Division One North. Mulberry Park is on the eastern side of Mulbarton Common in the north-east of the village. Beyond the football pitch to the east is a large grass area for sporting uses with open fields beyond this. Other than this the site has a row of trees to the north and housing to the south. Mulberry Park is 6.5 miles south-west of Norwich railway station and there are regular bus services between the city centre and the village. The southern side of the venue has the Village Hall/Sports & Social Club outside the confines of the arena. This centre includes a sporting centre inside as well as a caged mini-pitch at the back. The club dressing rooms are located in this building as are the site's toilets. Other facilities by the car park include the local scout hut and Blakey's Bus Cafe. With the club only promoted to senior level in 2018 the arena itself is currently sparse on the facilities front. There is no seating provision with the sole stand in the ground being a two-level covered metal terrace straddling the half-way line. The rest of the southern side is hard standing with the only other structures the snack outlet towards the western end and the entrance hut in the south-west corner. There are no other stands around the ground. The northern side has two dugouts and behind the metal barrier there is a large amount of grass that is used for player training. There is no hard standing on this side and the same is true for the western end where it is grass only. The eastern end does have a strip of hard standing for its length with grass behind this. The northern, western and eastern sides of the ground may not have any spectator structures at present but there is ample room to build as the club will be required to do in order to progress up the ladder. 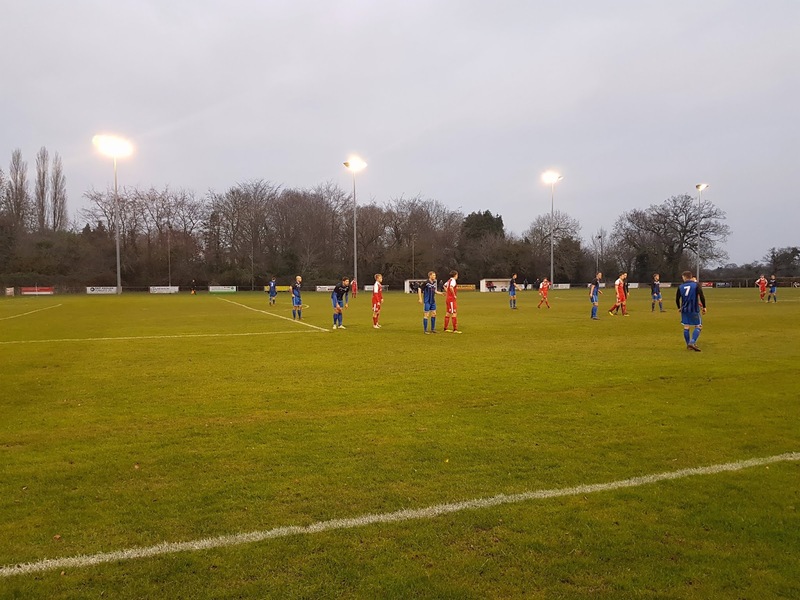 Mulbarton are enjoying a good first season in the Eastern Counties League sitting in 2nd place in the division going into the game against strugglers King's Lynn Town Reserves. Within the first 30 seconds the visitors almost took a surprise lead. A throw into the Mulbarton area found Lewis Gibson in plenty of space but his first-time shot zipped just over the bar. This proved to be a one-off as the hosts asserted themselves in the coming minutes. In the 3rd minute Ben Thompson's ball over the top put Tom Amis in a good position. Amis managed to get a shot off under pressure from a defender but his effort came back off the crossbar. Mulbarton chalked up the opening goal from the penalty spot after a quarter of an hour. Tom Amis stroked the ball low to Charlie Congreve's left sending the King's Lynn keeper the wrong way. The game had a fairly even spell after this up until just after the half-hour mark when Mulbarton had three great chances in the space of three minutes. In the 35th minute a great ball found Hayden Gibbons in space on the edge of the area. Gibbons' shot came back off the post and the Toby Oliver's rebound was cleared off the line. A minute later Ben Thompson brushed off a defender to put himself clean through but shot straight at Congreve. A minute after this there was a near carbon-copy when Toby Oliver went in on goal but under pressure from a defender poked the ball weakly at the visiting keeper. If King's Lynn were hoping they had escaped danger this was dashed in the 40th minute when the second goal finally came. Tom Amis and Ben Thompson linked up again with Thompson being played into the box. He slipped as he shot but the ball looped over Congreve into the roof of the net. Having scored five minutes before half-time Mulbarton then scored five minutes after half-time to go 3-0 up. This time it was Ben Thompson who turned provider for Tom Amis as the latter headed home the former's cross. The match was put beyond any lingering doubt in the 72nd minute when Mulbarton scored again. 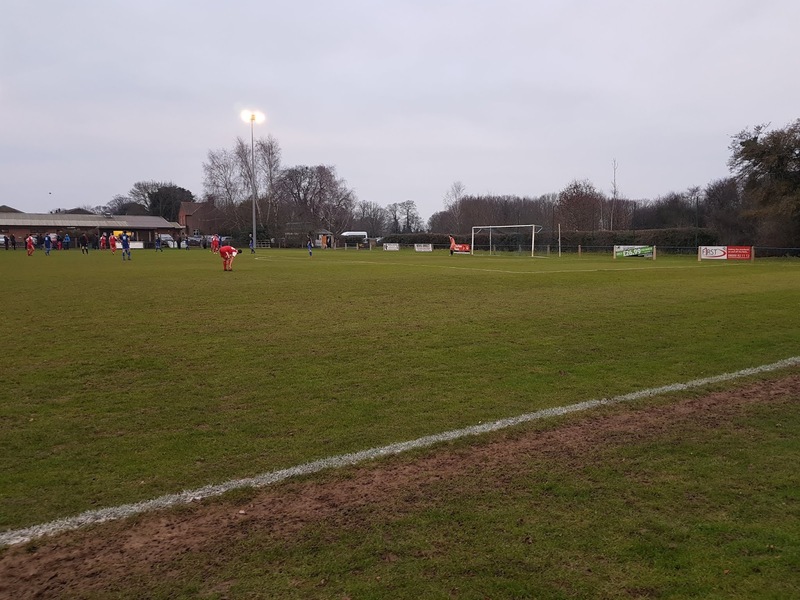 Jack Simpson had only been on the pitch for a minute when he slotted low into the bottom corner after a well placed ball over the top split the away defence. The hosts added a 5th in the 78th minute - yet again Thompson and Amis linked up well as a one-two between them was finished off by Thompson smashing the ball past the keeper. King's Lynn did manage to net a consolation with five minutes to go as substitute Charlie Rudland rode a challenge in the box before knocking the ball past Tom Wright in the home goal. 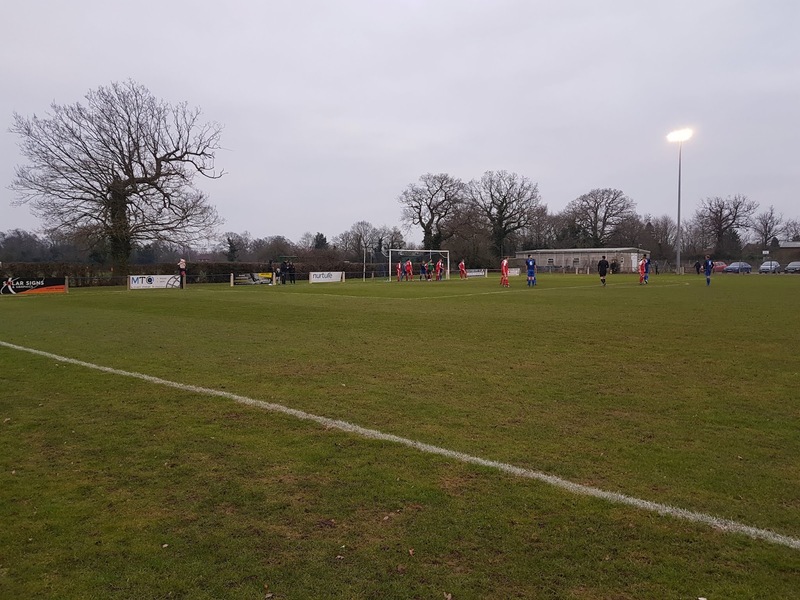 On the day the away side were well beaten as Mulbarton kept their promotion chances alive.